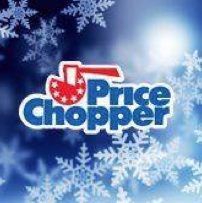 Price Chopper Weekly Coupon Matchups 2/8-2/14! PC Boneless Skinless Chicken Breast or Things - $1.99 lb. 31-40 ct. Jumbo Cooked Cocktail Shrimp - $8.99 lb. White or Green Asparagus - $1.77 lb. Red, Green or Black Seedless or Red Globe Grapes - $2.49 lb. Peaches, Plums or Nectarines - $2.99 lb. Hot House Tomatoes - $1.77 lb. D&W Gourmet Lite Ham - $5.99 lb. D&W Genoa or Hard Salami And Provolone Cheese - $7.99 lb. Krakus Reduced Sodium Ham - $6.99 lb. Scott toilet paper coupons do not double (printed) and also the bar s hot dog coupons do not double .